ellehermansen: VOSS: A little splash of Norway. 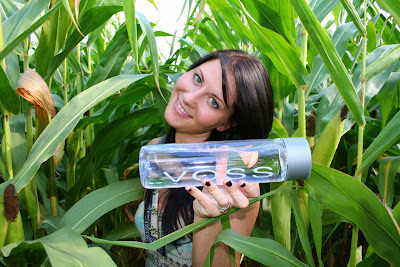 So, we went into Shoppers Drug Mart today, and came out with some Norwegian VOSS water! Funny thing is we were just at the LCBO to get my Cointreau for tasty Cosmos - and found that Italian wine "VOGA", that totally stole the whole Voss bottle idea. But, now you can enjoy this wonderful water here!